Windy City Mechanical, Inc. is proud to serve the Flossmoor community! About Flossmoor, IL - Happy to be your hometown Heating & Air Conditioning Contractor! Flossmoor, Illinois is a village located in the south suburban portion of Cook County. As of 2010, the population was approximately 9,500 residents, and the village is currently well known for its proximity to various country clubs and its architectural variety. Although the village was first founded in the 1800s, it was established in 1924, at which time it became an affluent community. Even today, Flossmoor is considered a “status” suburb of southern suburban Chicago, and notable residents have included Muhammad Ali and Buddy Guy. 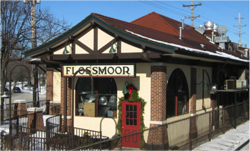 There are several notable attractions located in Flossmoor. As previously noted, the village is well-known for its country clubs and golfing opportunities, and area courses are available at the Flossmoor Country Club, Idlewild Country Club, and Coyote Run Golf Course. Outdoor activities are also available at Flossmoor Park and Leavitt Avenue Park. Other area attractions include the local Bagpipe Music Museum, the First Midwest Bank Amphitheatre in Tinley Park, and the AMC Lowes Country Club Hills 16 in neighboring Country Club Hills. Flossmoor and the rest of northeastern Illinois are classified as a humid continental climate zone. Each of the four seasons is distinctly represented throughout the year. The spring months are wet and generally lead to hot summers with moderately high humidity, so it is essential that residents prepare by having an energy-efficient air conditioning system in place at home. Temperatures can reach anywhere from 78 to 92 degrees Fahrenheit, but as recently as 2012, the region had record-setting temperatures that surpassed 100 degrees. The extreme summer heat can sometimes push into the autumn months, but for the most part, the fall season is quiet pleasant. Since the upcoming winters can be harsh, HVAC professionals recommend that residents take advantage of this time to have their furnace systems serviced to ensure they are working properly. Since average daily temperatures in January only reach the mid-20s, a home heating system is a requirement to keep interior climates safe.